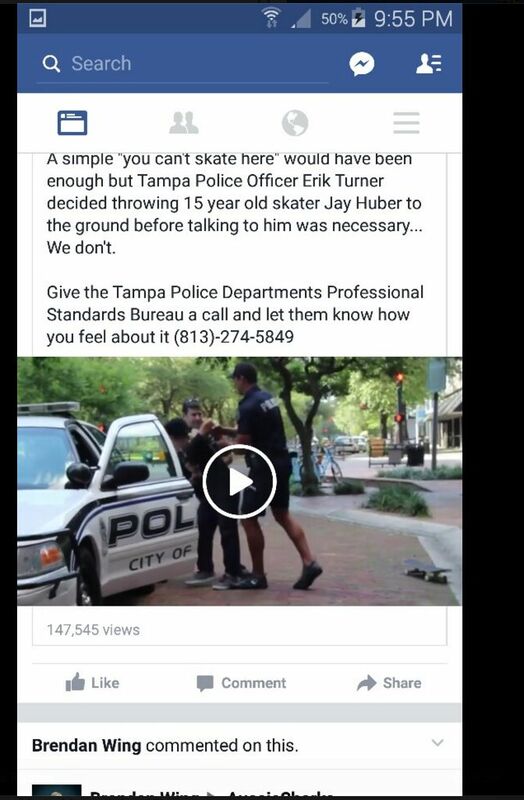 A simple “You can’t skate here” would have been enough but Tampa Police Officer Erik Turner decided throwing 15 year old skateboarder Jay Huber to the ground before talking to him was necessary…..we don’t. Please give Tampa Police Departments Professional Standards Bureau a call and let them know how you feel about it (813)-274-5849. I know I will. Again that number is (813)-274-5849. Call now.